Suffering from sexual dysfunction including erectile dysfunction can be	embarrassing and confusing issues for any man to deal with. By taking	the important step of seeking medical help, you can restore your health	and confidence in just a matter of a few treatments. 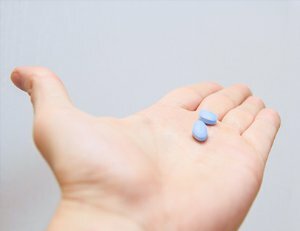 From providing medications	such as Viagra or Levitra to offering	Boston hormone replacement therapy, we provide our patients with a variety of effective and simple sexual	dysfunction treatment plans. We offer free consultations to discuss your symptoms and possible treatment	plans. Please	call us at (781) 269-5953 today to schedule an appointment. By clicking Send your message, I am opting in and agree to share my phone number(s) and/or email address with Core Medical Group for the purposes of marketing through text messages, phone calls, or emails of products and services offered by Core Medical Group and/or its affiliates or assigns. Dr. Lach has over 30 years of experience. Offering a wide variety of anti-aging services. Request your confidential consultation today.